Cyprus is a small country with a large history and rich culture. It is the third largest island in the Mediterranean. It is situated at the crossroads of the continents of Europe, Asia and Africa and it has a pleasant Mediterranean climate. The healthy climate and the natural beauties of the island make it an ideal place for tourists. 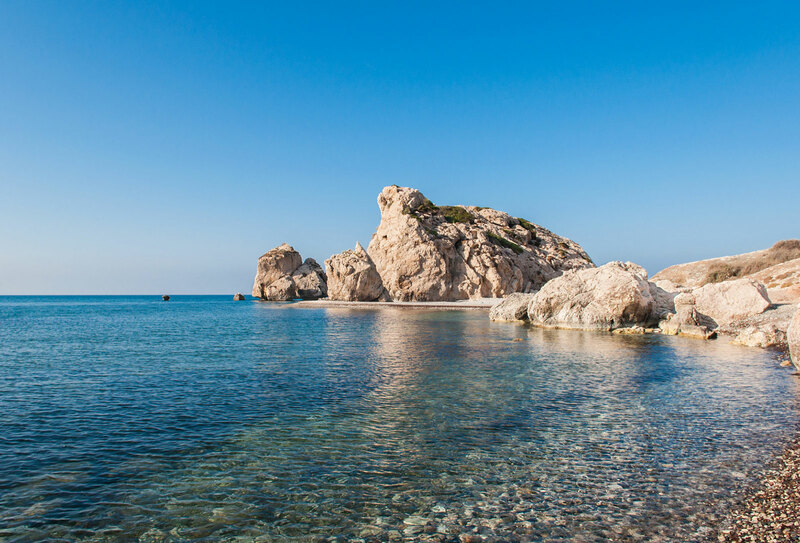 Cyprus enjoys an intense Mediterranean climate, with long dry summers from mid–May to mid–October, and mild winters from December to February, which are separated by short autumn and spring seasons. Summer is a season of high temperatures range between 30° C on the central plain, and 24° C on the Troodos Mountains. Winters are mild with rain and snow on Troodos Mountains. In January, the coolest month, the indicative daily temperature is 10° C on the central plain, and 3° C on the higher parts of the Troodos Mountains, while the average minimum temperatures are 5° C and 0° C.
Aside from moving around on foot and by bike, you can also travel around the island by car, bus or taxi. Cyprus does not have a train or underground transport system. The island’s two international airports are situated near Larnaka and Paphos.